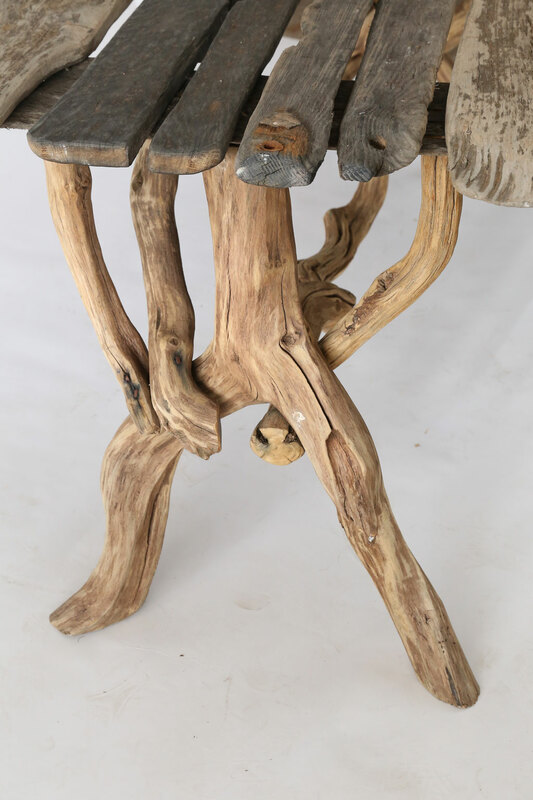 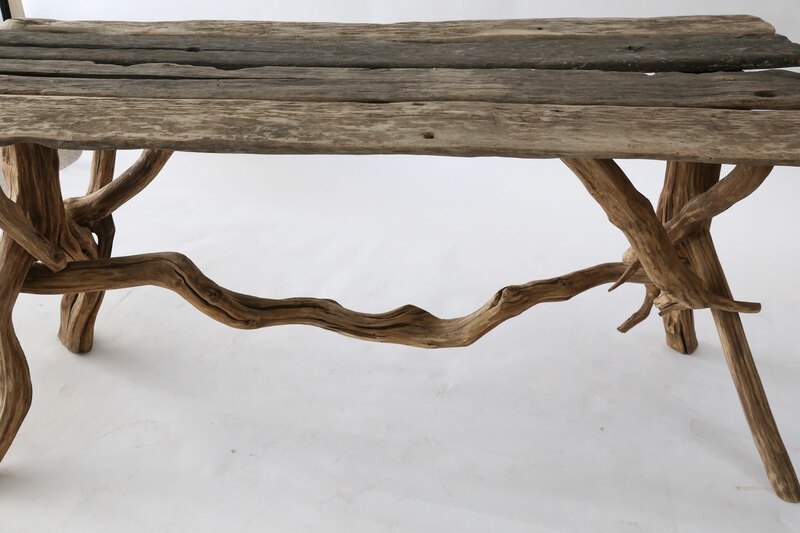 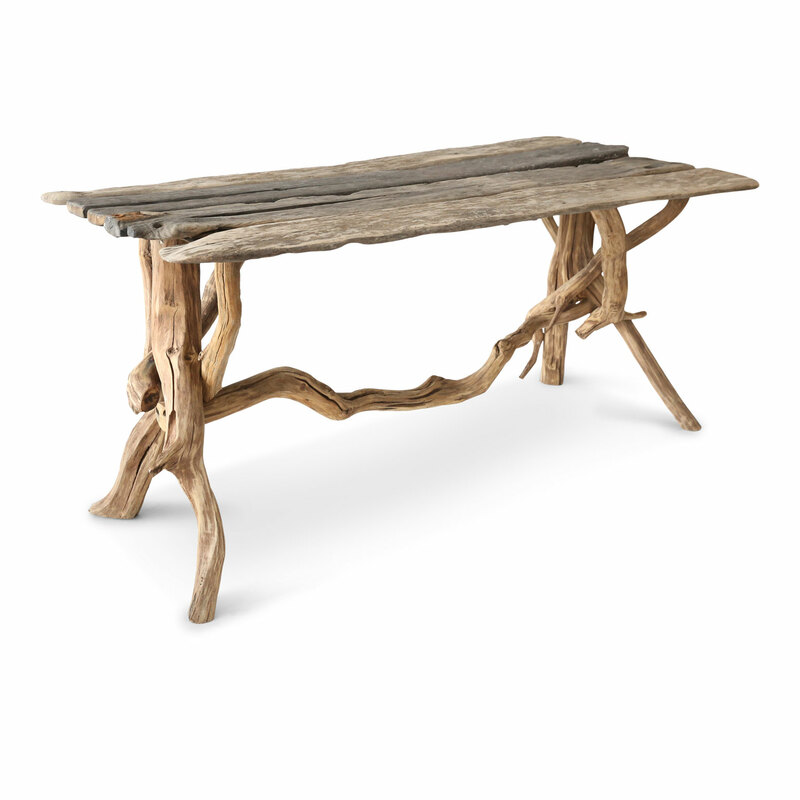 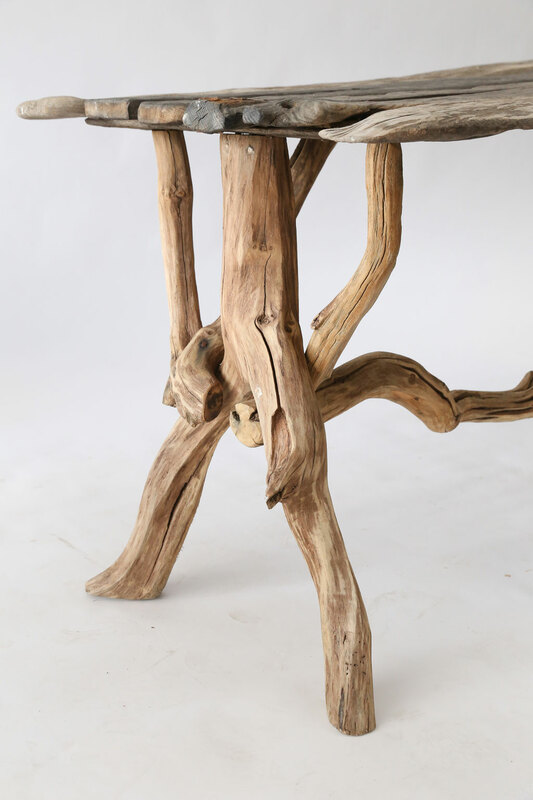 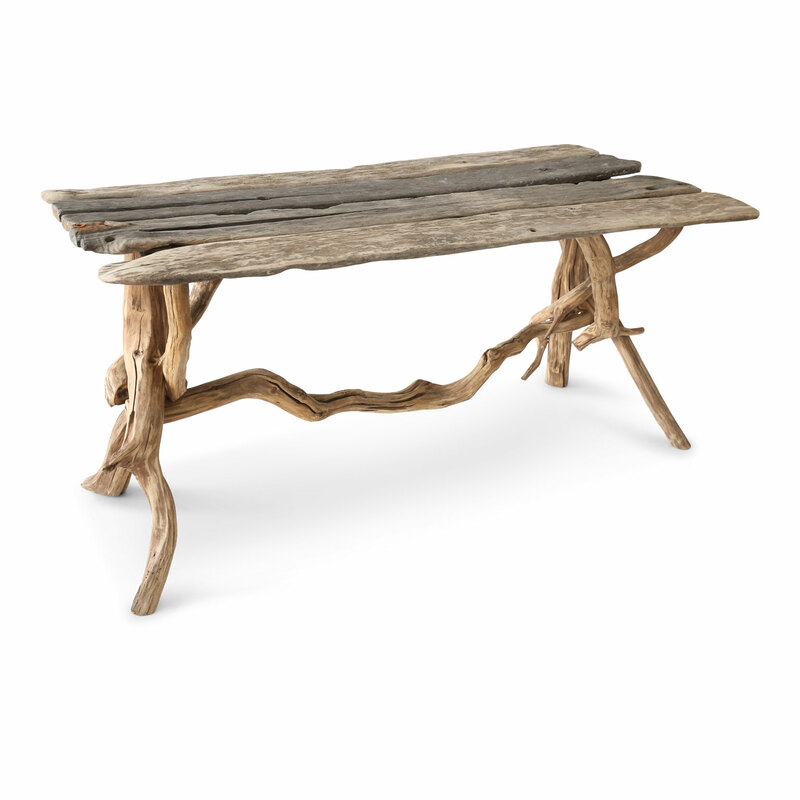 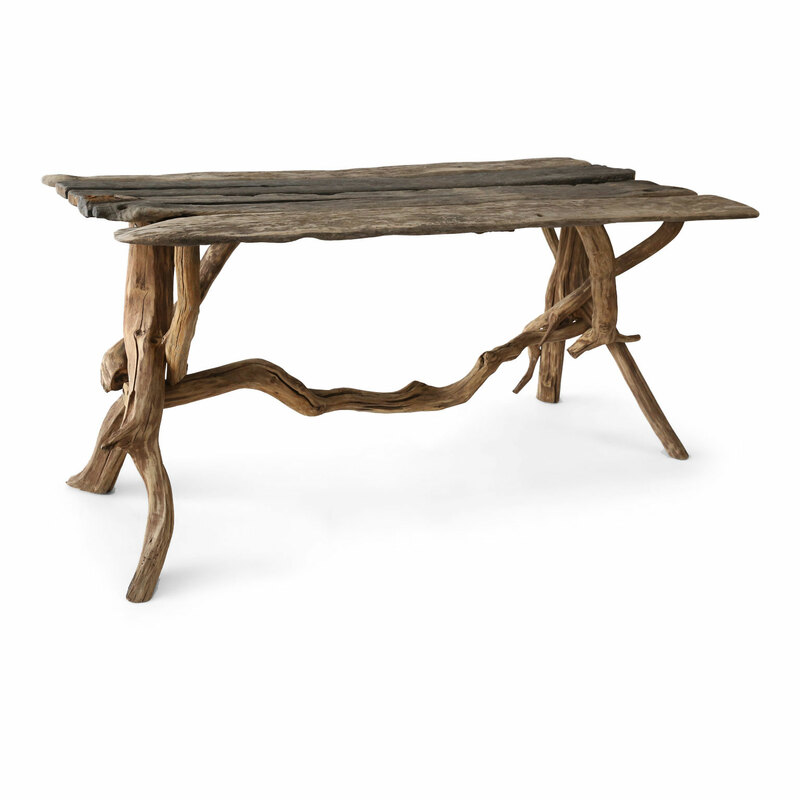 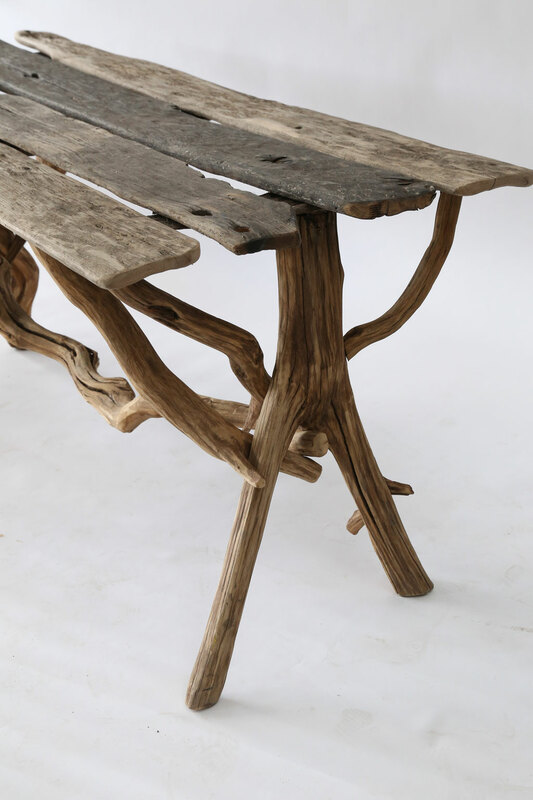 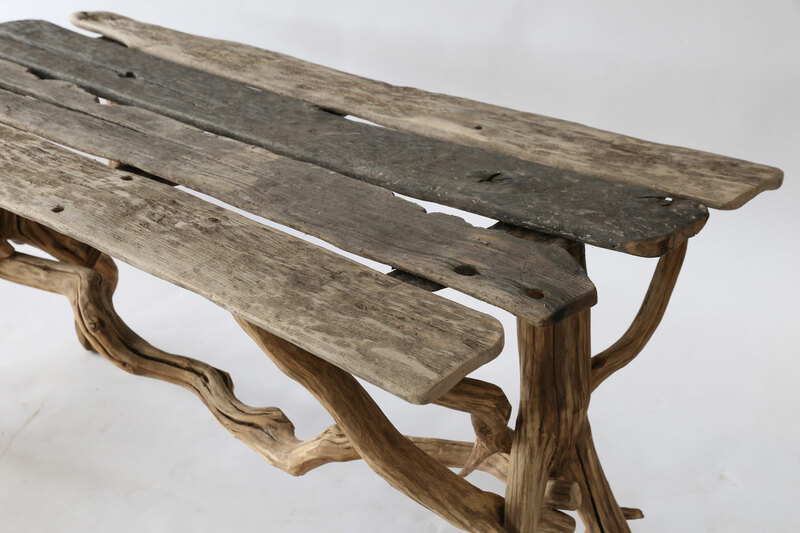 Driftwood table constructed with a graceful, natural-shaped trestle base supporting a rectangular top of naturally weathered antique planks. 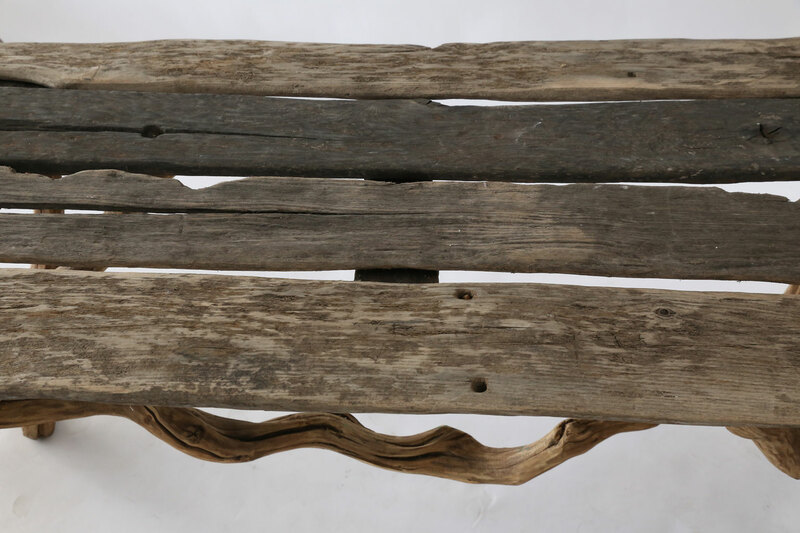 Condition: ExcellentVernacular/folk art trestle construction. 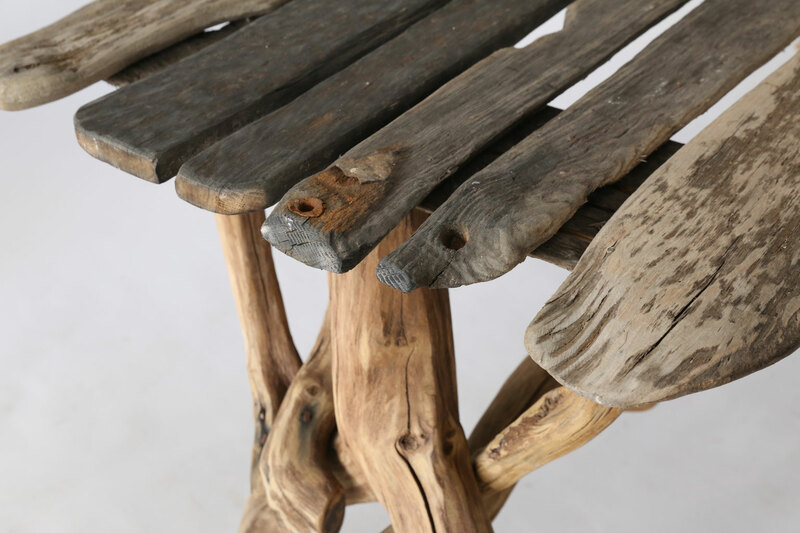 Natural age and weathering of planks.